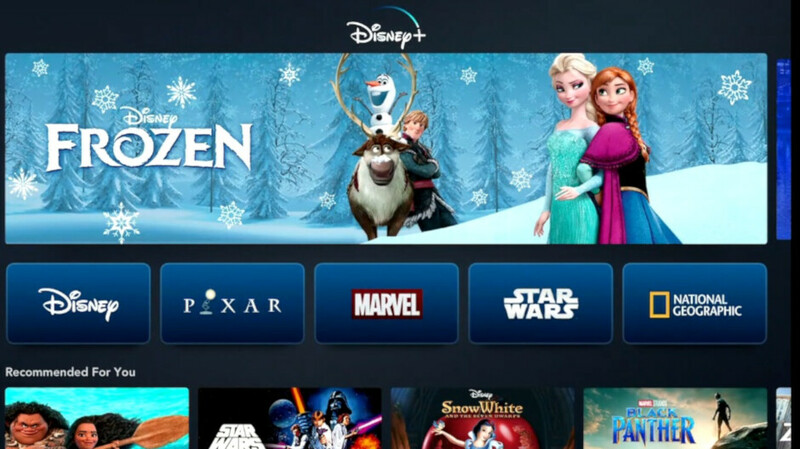 Subscribers to Disney+ will be able to set up different profiles for those living under one roof. Profiles for kids will automatically feature parental controls. All content can be downloaded for offline viewing, and the service will be available for smartphones and tablets, desktop browsers, game consoles, and smart TVs. Since Disney now owns a majority stake in video streamer Hulu following its acquisition of 21st Century Fox, it plans to offer a combined subscription price for Disney+, ESPN+, and Hulu. Iger has said previously that Disney would take things slow in regard to its streaming venture. As a result, a previous report stated that Disney+ will launch with 500 films from the Disney library along with over 7,000 episodes from Disney TV. In addition, there will be original programming including a show based on Disney's successful High School Musical franchise and another one based on Monster Inc. There also will be a series based on Star Wars that focuses on a bounty hunter like Boba Fett, and one produced by Marvel that has to do with the Avengers characters. Some proprietary programming will come from Pixar. One forecast has Disney spending $1 billion on original programming in 2020, rising to $2 billion by 2024. Some of the programming will make use of the Disney and 21st Century Fox television libraries. All episodes of The Simpsons will be on the platform from the first day, and episodes of Malcolm in the Middle will also be available. Just before Disney+ launches in November, the company will blow up the Disney Vault. This is where classic Disney movies were kept from public release until they were each made available for a limited time. Disney CEO Iger says that all Disney movies will be available to be exclusively streamed on Disney+. Disney films released this year will make their way to Disney+ after all theater and home entertainment options have expired. Frozen II, the sequel to the hugely popular animated movie, is expected in theaters this November. It will be a Disney+ exclusive when it is offered on the platform during the summer of 2020. The company expects to have 60 million to 90 million subscribers by the end of 2024, with U.S. consumers accounting for one-third of subscribers. The subscription model has hit critical mass. How many subscriptions will people realistically have? Netflix has officially become decent to garbage. Amazon Prime the same way. You literally have to pay for everything on Prime. Netflix is still almost untouchable for content for pure streaming services. I will subscribe when this releases. Let’s hope they unite with Apple for Apple TV+. If Disney allows for all the old Marvel movies this subscription is a slam dunk. Bye bye Netflix! Decent price. May add this on to Netflix. Not bad for limited content. I’m waiting for Apple TV+. Not bad price but not if that translates to £6.99 on UK launch. This will compete wit Amazon prime more than Netflix, Netflix is so fare ahead of Amazon prime in good content, the only reason i have the TV part is for Amazon prime delivery. It's worthy if they add all the cartoon series. This subscription is perfect if you have children.